Trisphee > News and Feedback > The Trisphee Times > New Commons - Freshly Washed Edition! It's... Well, it's Thursday. At least we're trying to get back on track! This week, it's all about the hair! 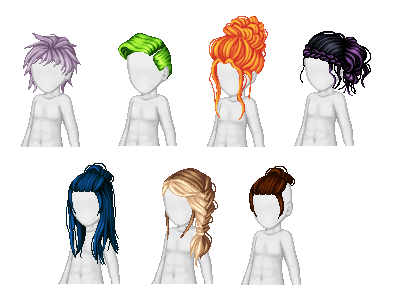 Check out the Salon for some new looks, from the adorable Poppy Hair to the edgy Assassin hair!